If you follow my Carpe Vinum adventures, you know that a couple of us are heading to France on vacation this summer (I’m going Paris and north; my girlfriend is going Paris and south). Last month, we embarked on an in-depth study of the French wine regions where we’ll be traveling — our very own Tour de France. 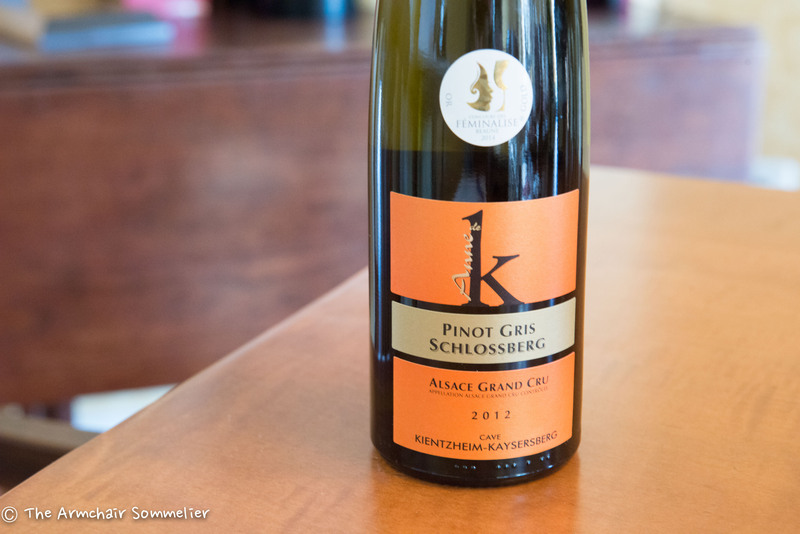 The biggest takeaway from my Alsace research was this: Alsace grows and produces almost exclusively cool-climate, white wine varieties (with an occasional Pinot Noir). For our Carpe Vinum tasting, we wanted to have a good representation of the major grape varieties of Alsace, so we brought six different grape varieties to pair with three dishes (along with a cheese & dessert course). The designed pairings are noted, however, the Gewürztraminer and the Riesling were last minute guests, so they don’t have designed pairings. But, in the interest of education, we tried them with each of the other dishes. I’d be happy to just sit and eat an artichoke sprinkled with rosemary. I’m not sure whose idea it was to make polenta into a crust, but that’s brilliant. Yum. I was surprised by how much heat the black pepper added to the dish. It made for an interesting contrast in flavors. The filling for this quiche has just seven ingredients (and that’s including the salt, pepper and nutmeg). How can something with so few ingredients taste so amazing?!? Julia says the original Quiche Lorraine has no cheese, but she’s given her permission to add it (see the link). I love this so much, I went out and bought myself a quiche pan (I usually just make quiche in a pie plate like a big rube). I made this the other night and added some leftover gruyère . . . so, that’ll be a keeper! Translated literally, Croque Monsieur means, Mr. Crunch, which sounds more like a cereal than a sandwich to me. A Croque Monsieur is a grilled ham and cheese sandwich smothered in a béchamel-gruyère cheese sauce. It’s like eating a ham & cheese sandwich topped with cheese fondue! Mmmm. Another version of the sandwich is topped with a fried egg, and called a Croque Madame. Btw, my teenage son’s criteria for a “good” sandwich is this: Can you put an egg on it? He’s gonna be a happy camper in France this summer. Pale pink hue. 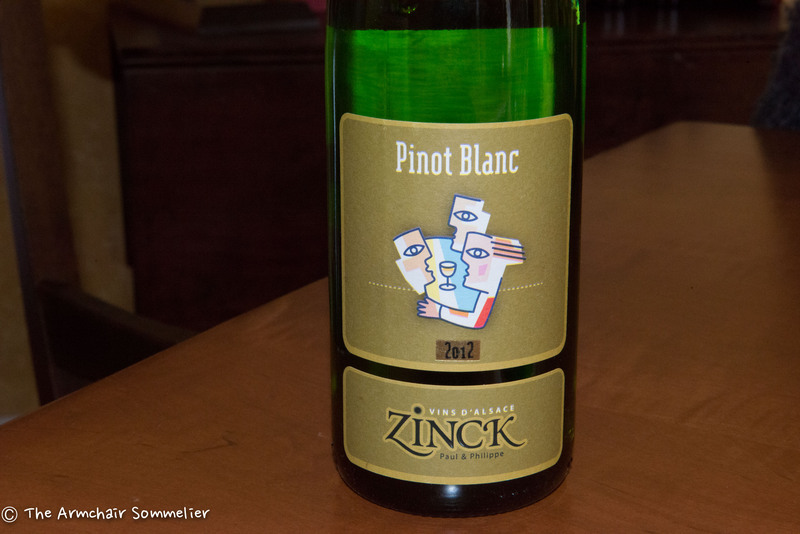 Light-bodied, with strawberry, rhubarb and almond flavors. Zippy and refreshing. Not overly complex, but for $15? Yes, please. I’m so drinking this on my patio this spring and summer. Artichokes are notorious wine killers, but they can’t kill the delicious bubbles in this Crémant. Very enjoyable. I’m imagining Julia Child sipping Crémant on Sunday morning while eating Quiche Lorraine and reading a French newspaper. Winner. The bubbles were a perfect balance to the rich, gruyère cheese sauce on the sandwich. This will be a repeat pairing, for sure. A pale straw color. The nose reminds me a little of Orangina. Tart citrus flavors, with minerals and chalk on the back end. Light bodied, crisp, and acidic. 12.5% ABV. $17. The tart tames the acidity in the wine, and the wine brings out the rosemary in the tart. Very nice. The textures of the wine and quiche compliment each other very nicely. And the acidity provides a nice balance to the creaminess of the quiche. It’s not terrible, but it’s not awesome, either. Let’s go with neutral. The nose is all perfume — I wasn’t expecting that in a Pinot Gris. It’s almost like this Pinot Gris was going to a masquerade party as Gewurztraminer. Medium bodied with a rich, almost creamy texture. Slightly sweet, but a great dose of acid balances everything out. $25. The slight sweetness in the wine balances the pepper, but doesn’t completely destroy the artichoke. Lovely. The slight sweetness of the wine compliments the creaminess of the quiche, and the acid makes the whole pairing harmonious. We forgot to taste this with the sandwich. Boo, us. Wine Spectator rated this wine 91 points, and I totally don’t get it. Smells like someone wearing too much perfume in a floral shop. The balance seems out of whack. Looking for the acid. Maybe flawed? This is unlike Zind-Humbrecht. $27. No. No. A thousand times, no. Like drinking sweet perfume. Strike two. Terrible. What is going on here?? Strike three (though the most bearable of all three dishes). The Gewurztraminer is out! I have much better luck with I pair Gewurztraminer with spicy Asian foods. I’ll keep doing that. Beautiful pale straw color. Tart and light, with flavors of green apple and lemon. Mineral driven, with a great backbone of acidity. $30. Very nice. 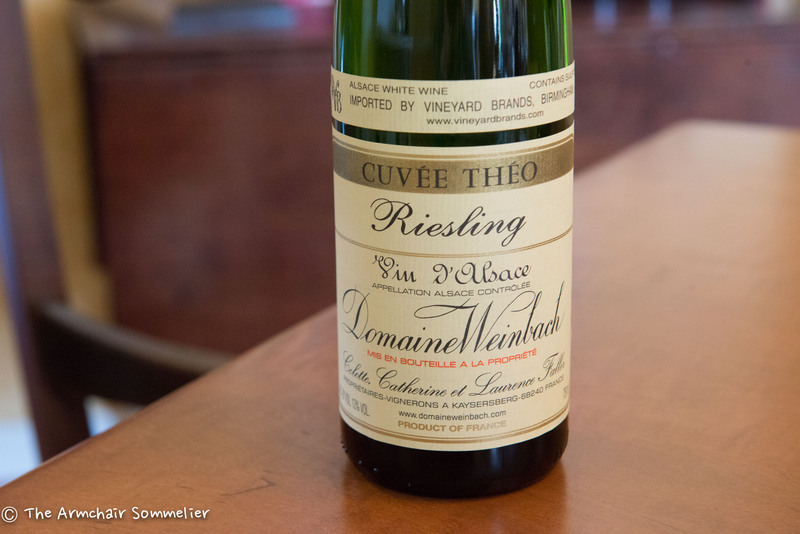 The Riesling brings out the lemon highlights in the tart and doesn’t fight with the artichokes. The artichokes make the Riesling seem a smidge sweeter, too. Works for me. This is really more of a meh pairing. The quiche isn’t doing the wine any favors, but it’s not beating it up, either. The sandwich is good. The Riesling is good. The sandwich and Riesling are not good together. The balance is just weird. It kind of blows my mind that a wine so sweet and plush can be so perfectly balanced. Unbelievable texture, like licking a silk pillowcase (and yes, I put that in there to see if anyone really reads these reviews). Mango, coconut, pineapple, melon. It’s all in there. But the most unusual and memorable thing about this wine? There’s a hint of mushroom on the nose. Yep, mushroom. Weird, but unbelievably appealing. $70. I don’t care for the Bleu Family of cheeses. Every time I eat bleu cheese, I want to re-enact that scene from Big where Tom Hanks tries caviar and wipes off his tongue like he’s just eaten a swarm of bees. But I don’t want to be closed-minded, either, so I tried Roquefort again. I still want to wipe it off my tongue. It’s less terrible paired with the wine, but terrible nonetheless. My girlfriends who like Roquefort enjoyed the pairing, though, hence the thumbs up. This cheese reminded me of a nutty Brie — sooooo much better than the Roquefort. The wine took on a Sherry like quality with this cheese. Very interesting match. This was lovely. Lovely. Would it be gauche to lick my plate? Stage Three of Carpe Vinum’s Tour de France will be . . . Champagne! Previous Post: Glory, There’s a Whole (Go Big Red) Glob of Us! 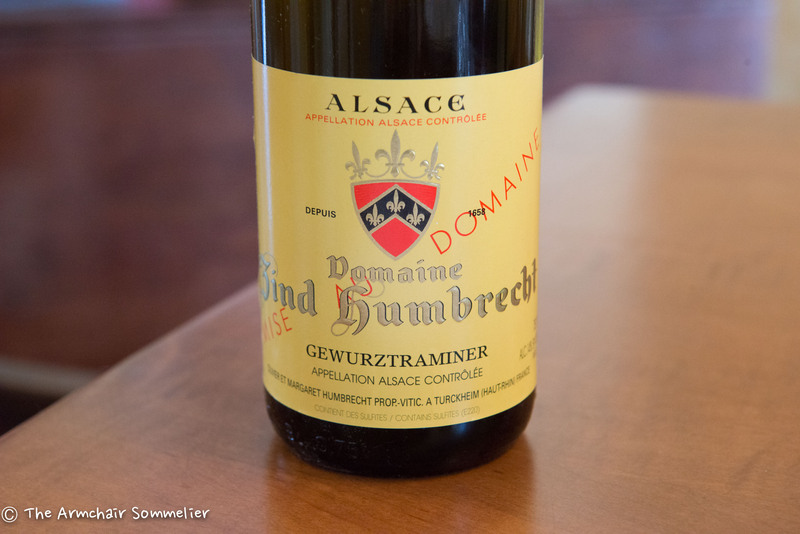 Alsace is one of my favorite regions! Will be looking forward to hearing more after your trip. Mine, too, Karin! I can’t wait to taste Alsace in person!! Salud!